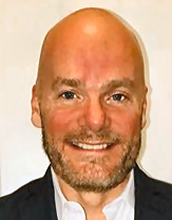 iHeartMedia has named Ross MacLeod as Program Director for BIG 105.9/ Fort Lauderdale effective immediately. He will report to Rob Miller, Senior Vice President of Programming for iHeartMedia South Florida and Executive Vice President of Hot AC Programming and Strategy for iHeartMedia National Programming Group. "It's humbling to join the team of one of the greatest, market-leading classic rock stations in the country," said MacLeod. The dynamic team at BIG 105.9 has made an incredible mark in the Miami community and I can't wait to work and collaborate with the iHeartMedia Miami team and contribute to the stations ongoing success." "Ross has had an extensive track record of success and has programmed multiple rock format brands across North America and genuinely understands our market," said Miller. "His vision, creativity and innovative social media strategies, paired with his strong leadership with on-air talent will further solidify BIG 105.9's legacy in South Florida."